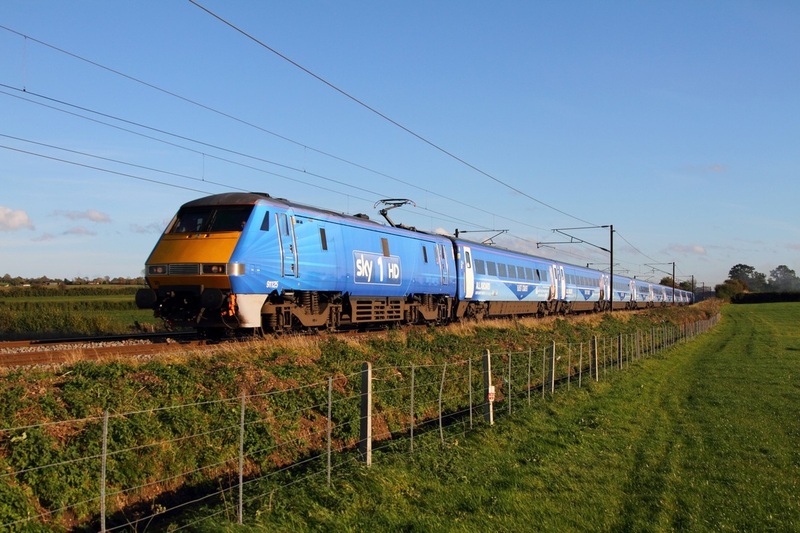 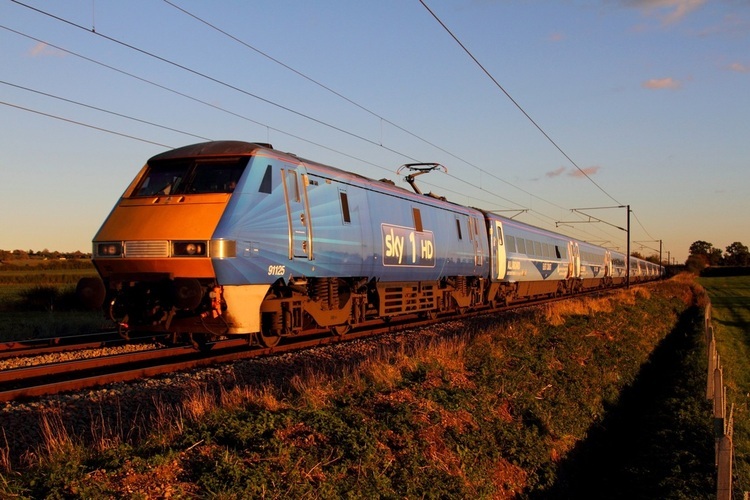 Sky 1 HD liveried 91125 leads the 1D18 London Kings Cross to Leeds at Hougham on the 4th November 2013. 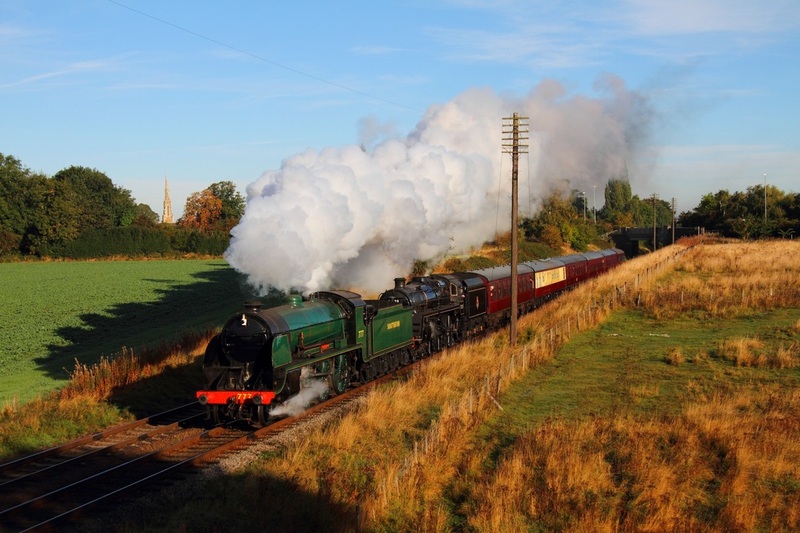 Flying Scotsman liveried 91101 powers the 1B86 London Kings Cross to Newark Northgate at Hougham on the 30th October 2013. DB Schenker's TATA liveried 60099 works the 6Z65 Earles to Walsall at Willington and below at Sawleyon the 29th October 2013. 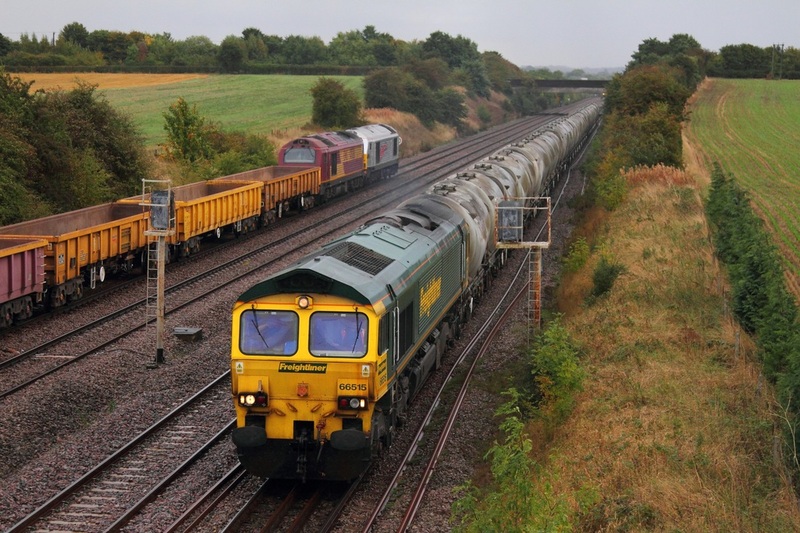 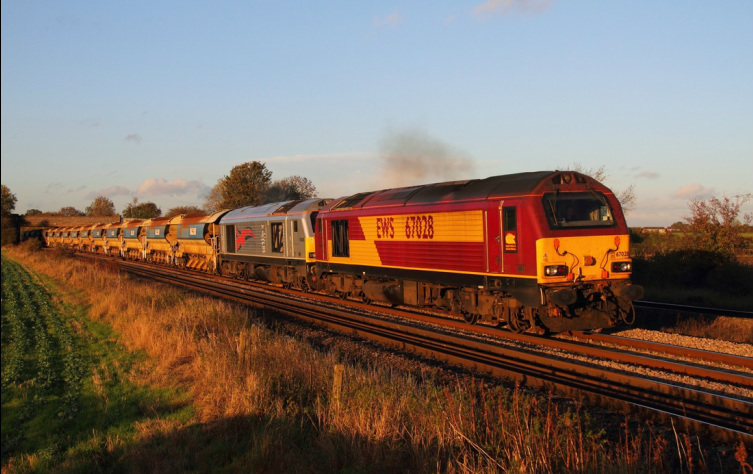 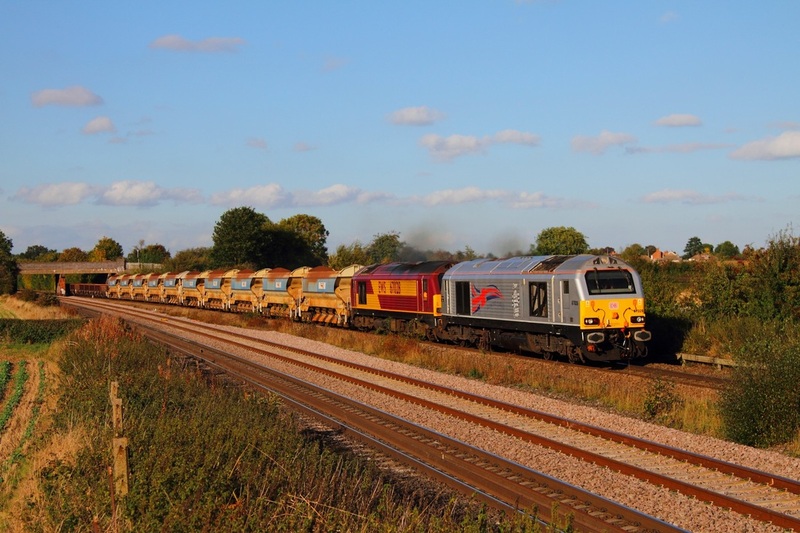 On the 28th October 2013, DB Schenker's EWS liveried 67028 leads Silver liveried 67026 on the 6M23 Doncaster to Mountsorrel autoballasters at Thurmaston near Humberstone Road on the 28th October 2013. 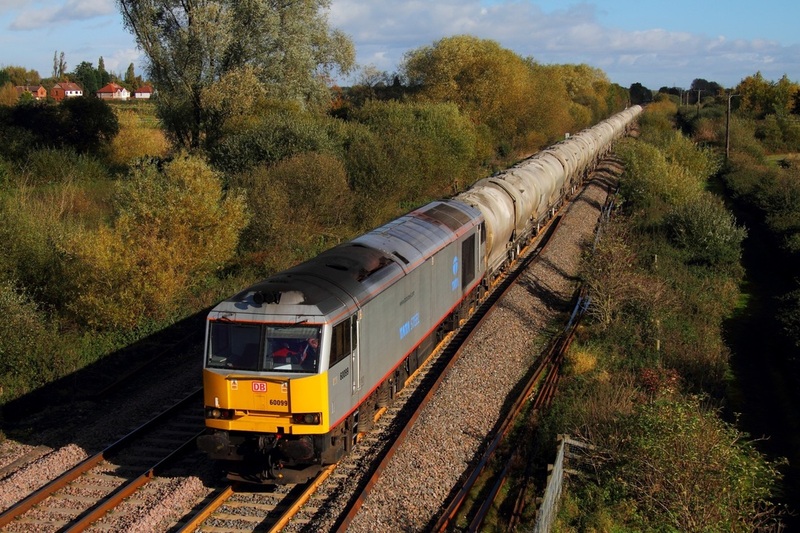 DB Schenker's TATA liveried 60099 works the 6M23 Doncaster to Mountsorrel at Thurmaston north of Humberstone Road on the 16th October 2013. 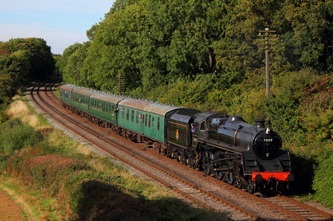 60099 is currently not on the DB '60' refurbishment programme, most probably due to high engine hours. 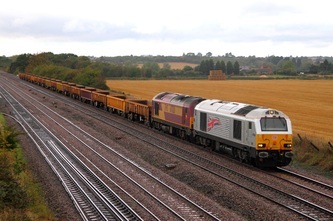 66515 on the 6M91 Theale to Earles at Cossington on the 9th October 2013. 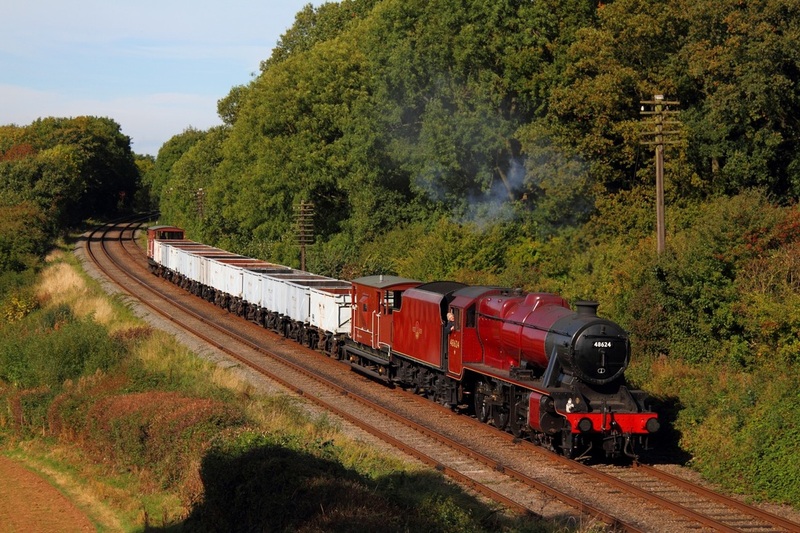 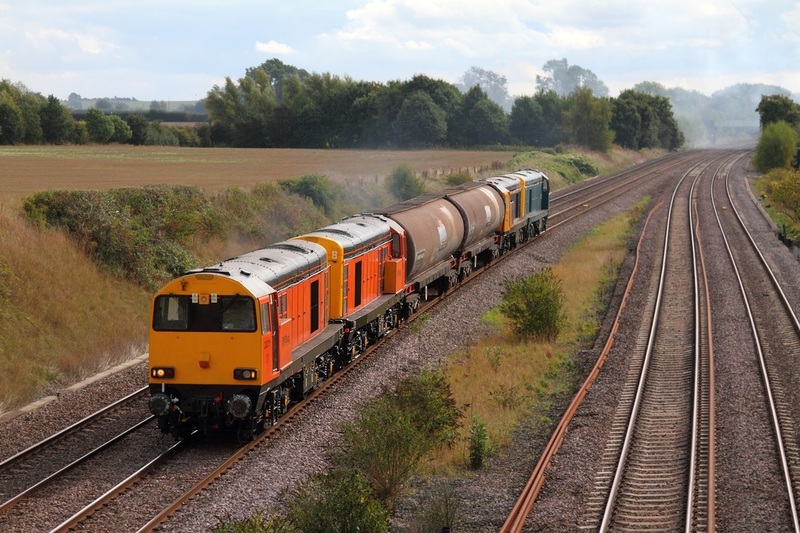 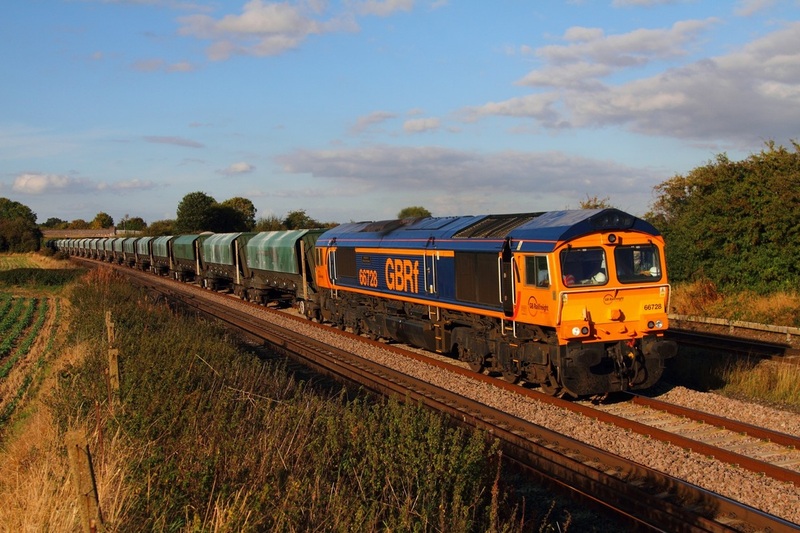 67015 leads the 5Z06 Cricklewood to Toton at Cossington on the 9th October 2013. 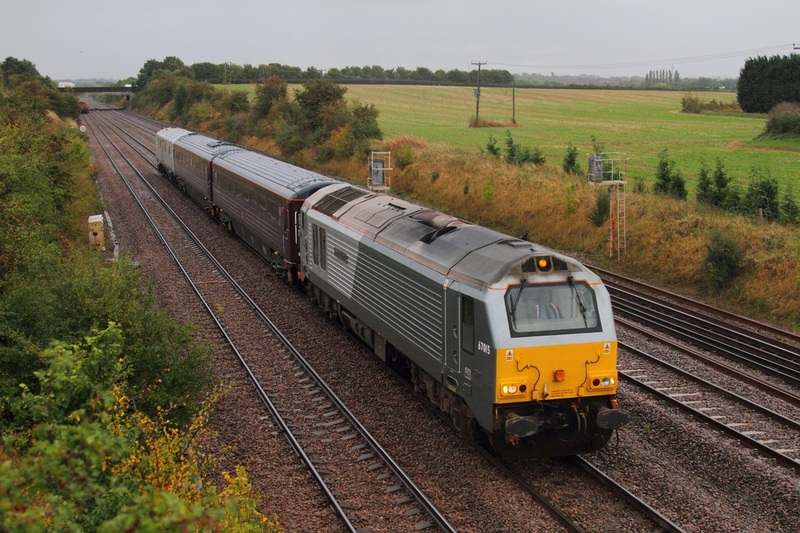 67026 leads 67028 on the 6M23 Doncaster to Mountsorrel at Cossington on the 9th October 2013. 67026 leads 67028 on the 6M23 Doncaster to Mountsorrel at Thurmaston on the 9th October 2013. 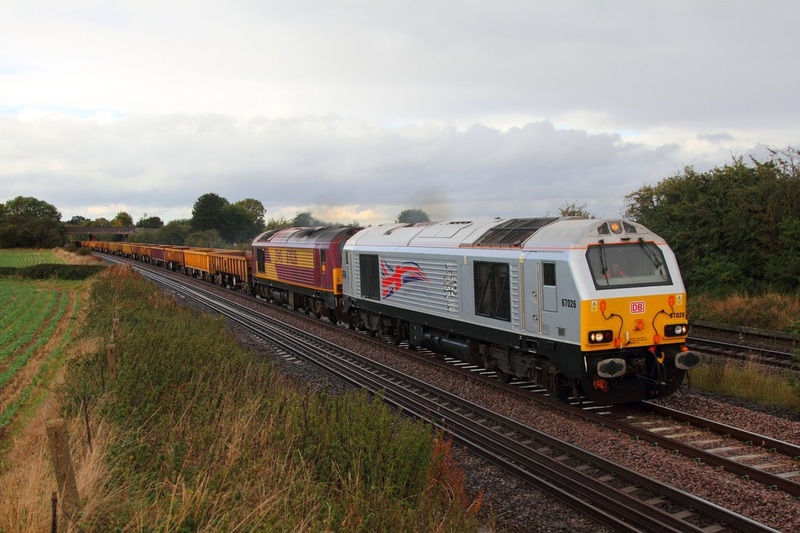 Following a loco swap with 66739 in Toton, GBRF Europorte liveried 66728 leads an early 6V08 Tunstead to Brentford at Thurmaston near Leicester on the 8th October 2013. 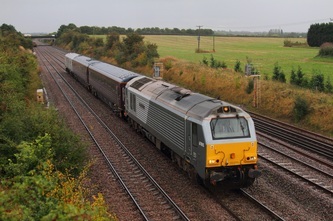 DB Schenker's 67026 leads 67028 on the 6M23 Doncaster to Mountsorrel at Thurmaston near Leicester on the 8th October 2013. 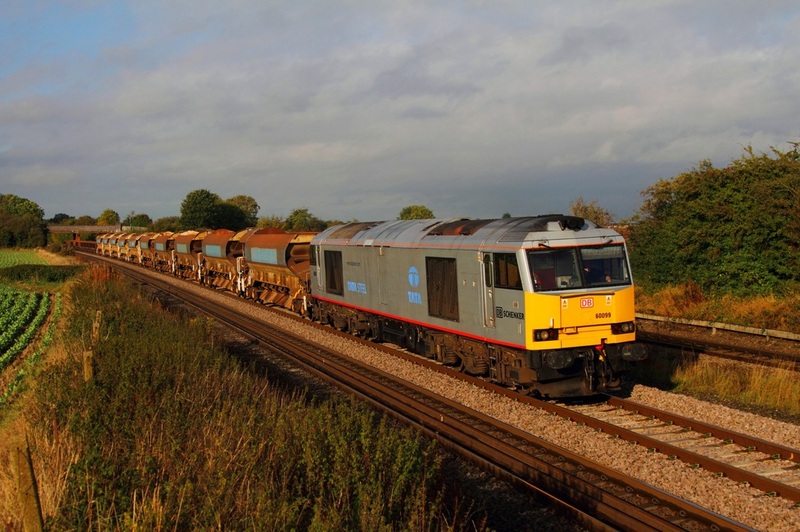 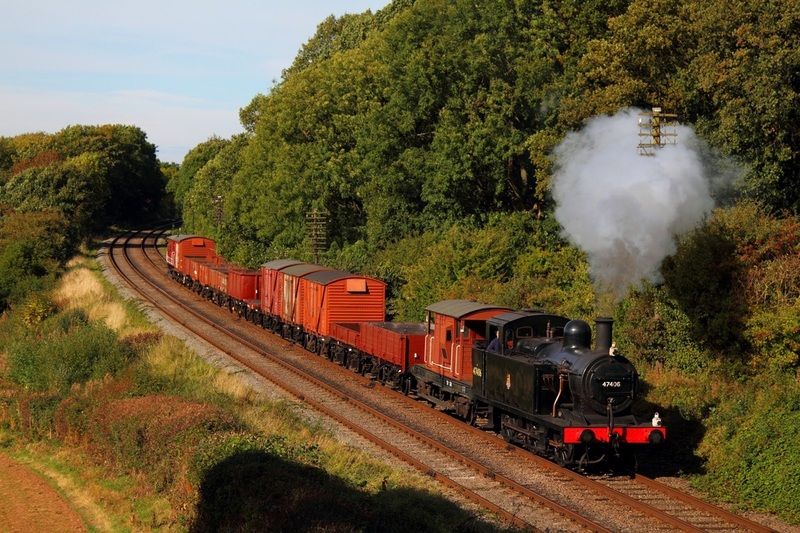 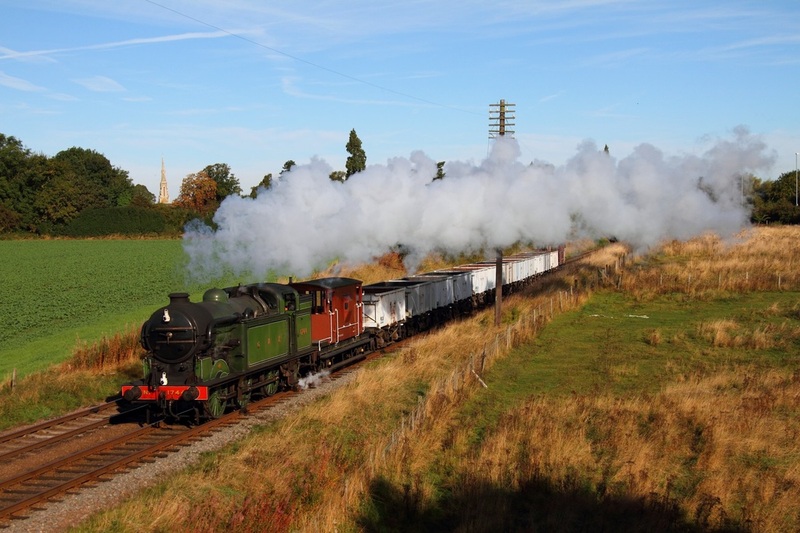 This was the first time a skip (or a pair) had work the train, which was run-round at Humberstone Road before returning north to Mountsorrel. 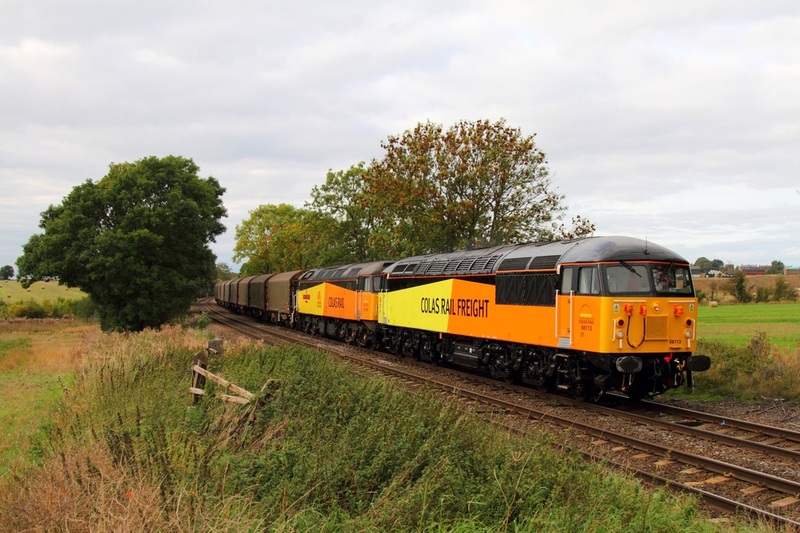 Colas Rail 56113 has returned and leads 47739 on the 6E07 Washwood Heath to Boston Docks steel at Chellaston east of North Staffs junction on the 7th October 2013. 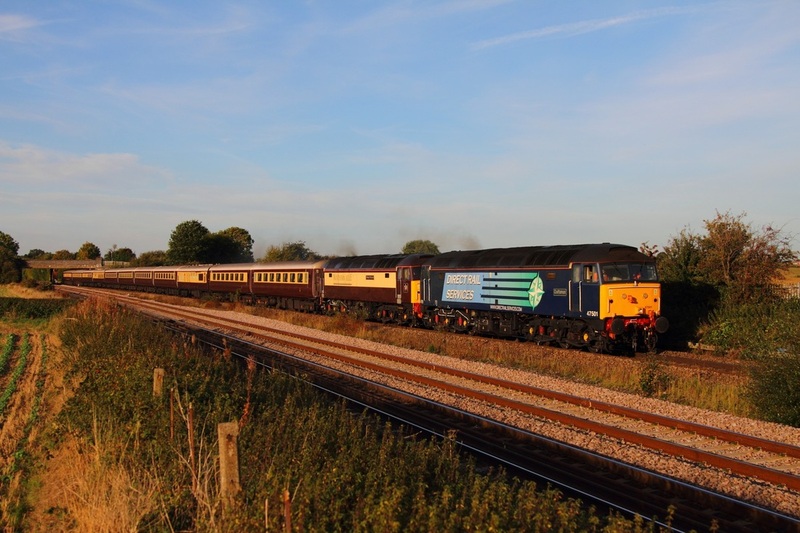 Former Fastline liveried 56301 leads Br Large Logo Blue liveried 50026, Br Blue 33108, Br Blue 47401 and Br Blue 45133 at Normanton on Soar, working as the 0X56 Wansford (Nene Valley Railway) to Butterley (Midland Railway Centre) on the 7th October 2013. 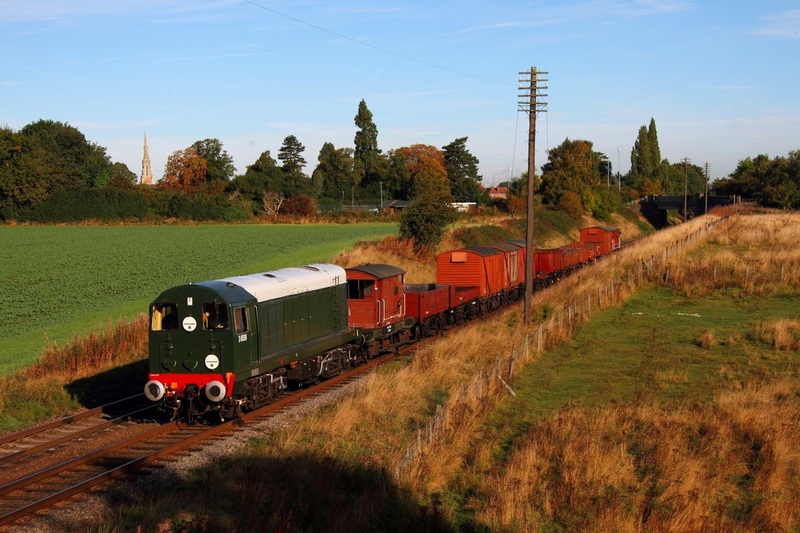 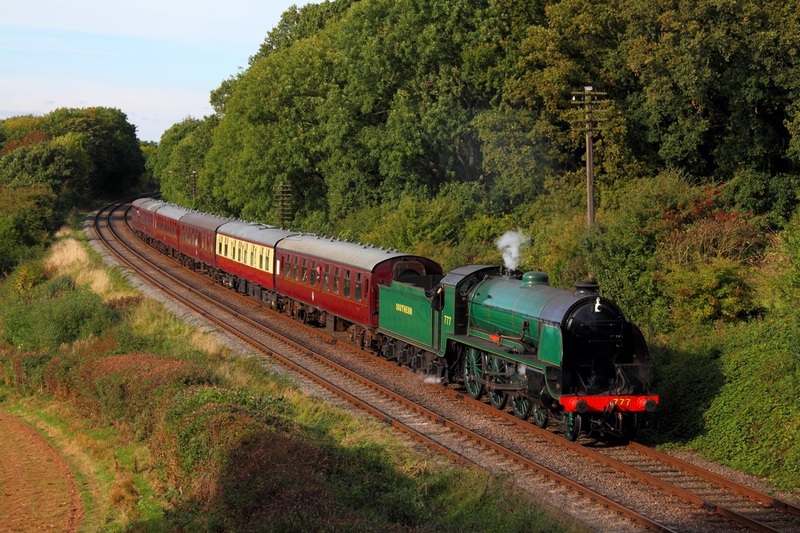 After a somewhat troublesome week for DRS '47s', things got worse on Sunday 6th October when the Northern Belle turned into a total farce following the failure of 47832. The 5Z54 Norwich to Nottingham ECS departed over an hour late before sadly 47832 failed near Sandy. 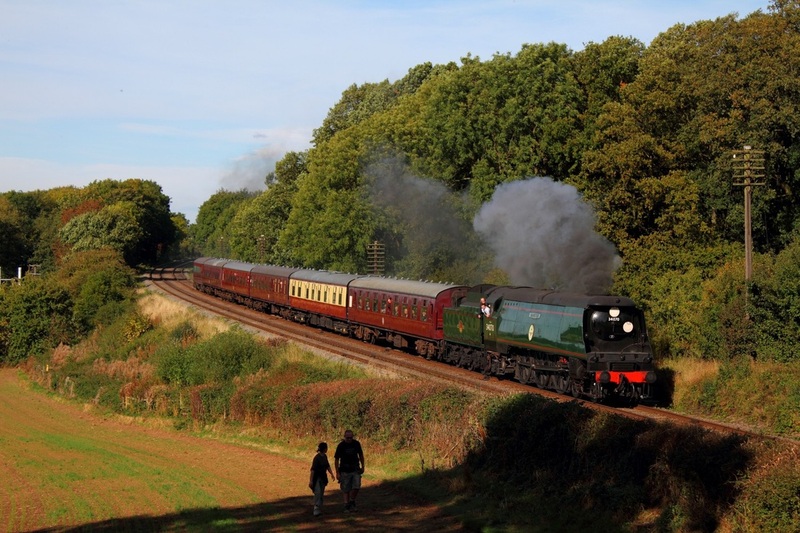 This resulted in the Northern Belle circular from Nottingham to Nottingham via Sheffield being cancelled as well as the Passenger's Sunday lunch. Eventually, 47501 ran-round the train and worked the 5Z55 Peterborough to Crewe CS ECS captured here at Thurmaston, with both '47s' powering. 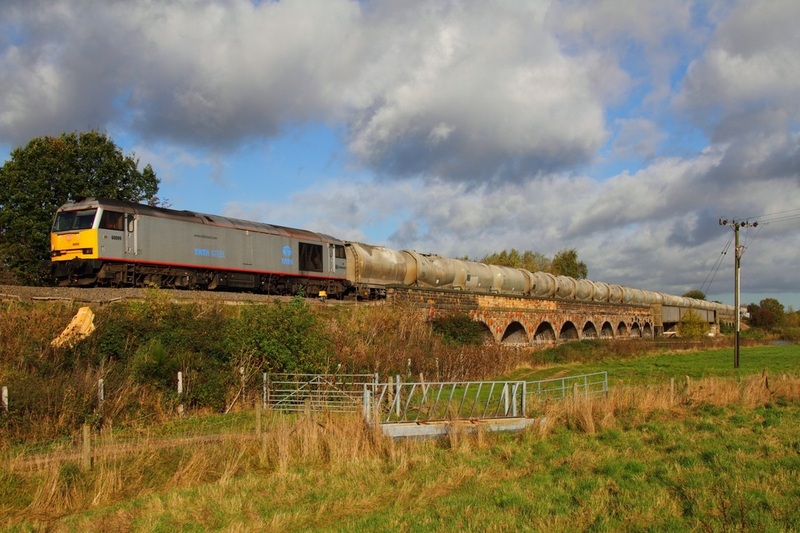 Br Blue liveried D8098 9C35 1530 Loughborough to Rothley Brook at Kinchley Lane on the 6th October 2013. 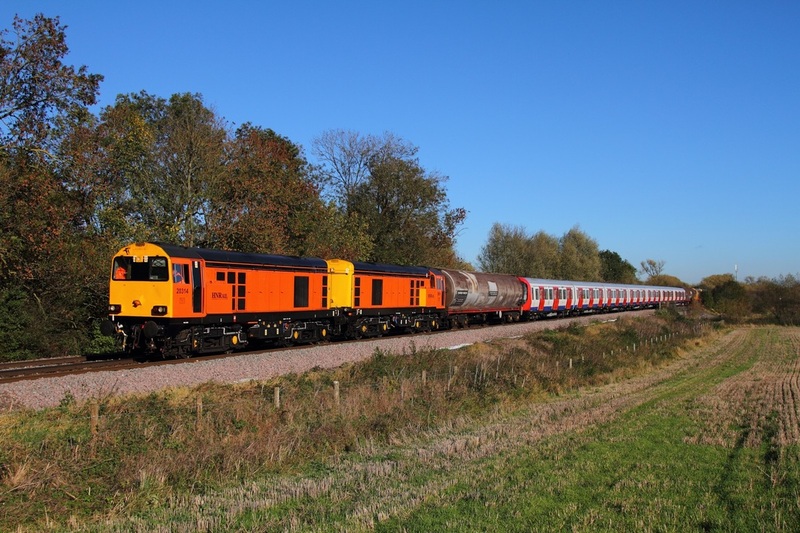 HNRC 20311 leads 20314, GBRf 20905 and Br Blue 20096 on the 6Z23 Peterborough to Barrow Hill at Normanton on Soar on the 5th October 2013. 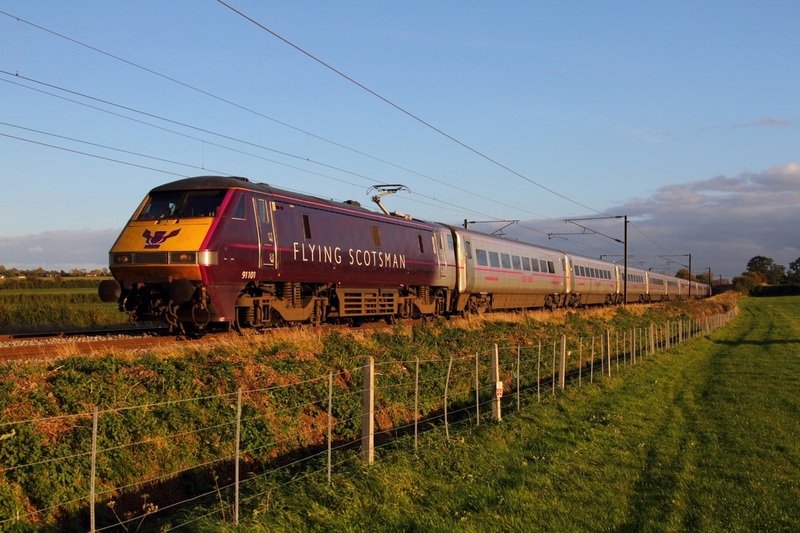 It is believed that 20905 needs a new power unit following a severe failure. 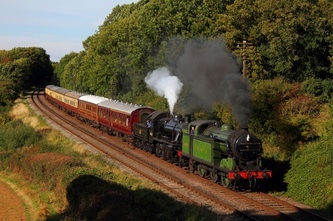 20118 will take its place next week. 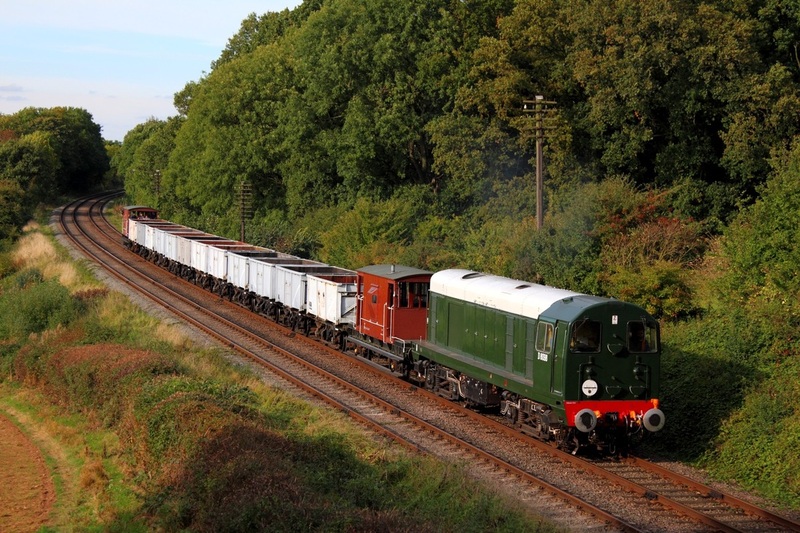 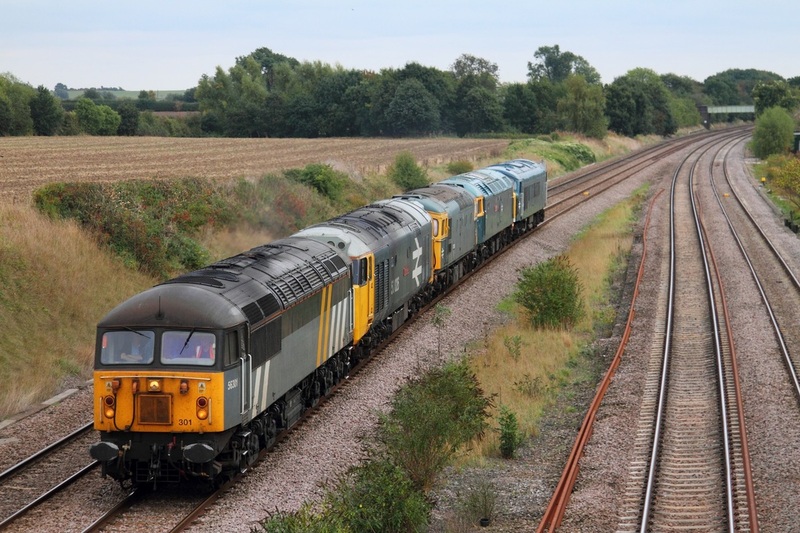 To see some images from the GCRN Diesel Gala, please click here and you will be taken to September 2013.